Last week my wife and I were compiling tax return information for our accountant. As part of the prep, we wanted to review several events and appointments from 2016, starting in January. 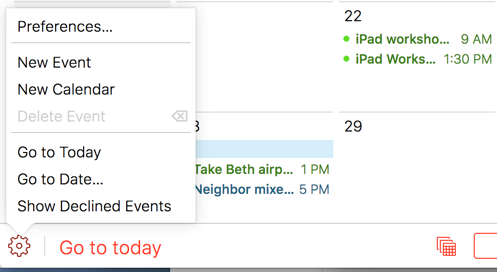 My iPhone and iPad are set to sync events just three months back, so calendar content for most of 2016 wasn’t visible. I could have changed the calendar sync setting on my device to All Events and waited for appointments to populate. However, this would be temporary and I’d want to change it back because I rarely need to check old appointments. By the way, you can choose how far in the past to show (sync) events in Settings. Go to Settings > Calendar > and look for Sync in the middle of the right column. Here you can choose a time period 2 weeks back, 1 month back, 3 months back, 6 months back or all. Here are two better ways to see events and appointments in the past. First, if you use the Calendar program on a Mac, then your entries can go back years, depending on when you started using Calendar. All events are synced on the Mac and there is no option to change the sync period. What’s the second method? 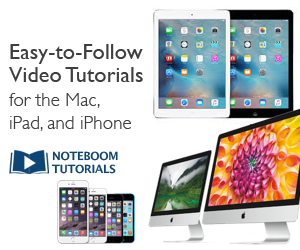 Most likely, you are syncing your Calendars with iCloud. You can go to iCloud.com, log in and choose the iCloud Calendar to travel back in time. Looking for a specific date? Use the Gear icon in the lower left. yeah! thank for this little tutorial. I am now able see my old calendar entries.